Notification is moved to April, 10. IDC 2012 is open for Registration. More info, direct link. Submit abstract and title until March, 12, midnight! Final version submission for demo and short papers is extended to March, 14, midnight! Submission deadline for full papers is extended to January, 23! 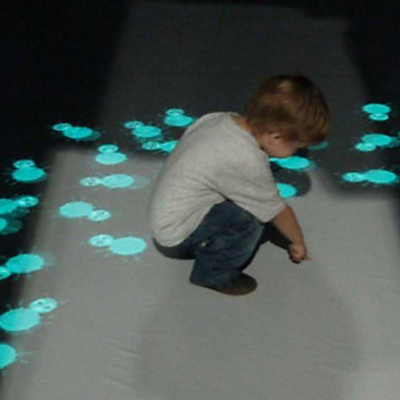 Welcome to the 11th International Conference on Interaction Design and Children! In 2012 as in prior conferences, the main goals will be "to understand children's needs and how to design for them, by presenting and discussing the most innovative research in the field of interaction design for children, by exhibiting the most recent developments in design and design methodologies, and by gathering the leading minds in the field of interaction design for children". As special themes, IDC 2012 would like to discuss children's needs under the perspectives of "pedagogical aspects in theory and practise" as well as "children from diverse cultural backgrounds". We are delighted that IDC 2012 will be held under the patronage of Anja Stahmann, Senator of Welfare, Children, Youth and Women's Affairs of the Free Hanseatic City of Bremen. She will open the conference in the Bremen Town Hall. We invite members of the IDC community to submit bids for hosting and chairing IDC 2013. If you are interested, please send your bid by mail to jcread[at]uclan.ac.uk, and copy to info[at]idc-sig.org. The bid will be reviewed by the idc conference steering group, which includes all past chairs of this event. There is no fixed format for your bid but please address the following points: involvement in past IDC events, relevant research and teaching activities at the host institution, location and its accessibility, an initial (provisional) sketch of program committee (e.g., program chairs, short papers, demo chairs, etc.). We encourage international committees, and at least one of the program chairs should have a long term involvement and track record in the IDC field. Please highlight how holding IDC 2013 at this particular venue and location can benefit the IDC community as a whole. The deadline for bids is put for 14 March.